When Jessica Cox was a little girl, she imagined herself being Superwoman. Swinging on her elementary school’s playground at recess, she envisioned herself flying, sharing her superpowers with all of her friends. On Thursday evening at Utah State University, the power Cox shared wasn’t imaginary. Giving the keynote speech during the College of Agriculture and Applied Sciences’ Spring Dean’s Seminar, Cox presented an inspirational message of perseverance and determination. When she envisions herself flying today, she’s piloting a 1945 Aircoupe. And she’s doing it without any arms. 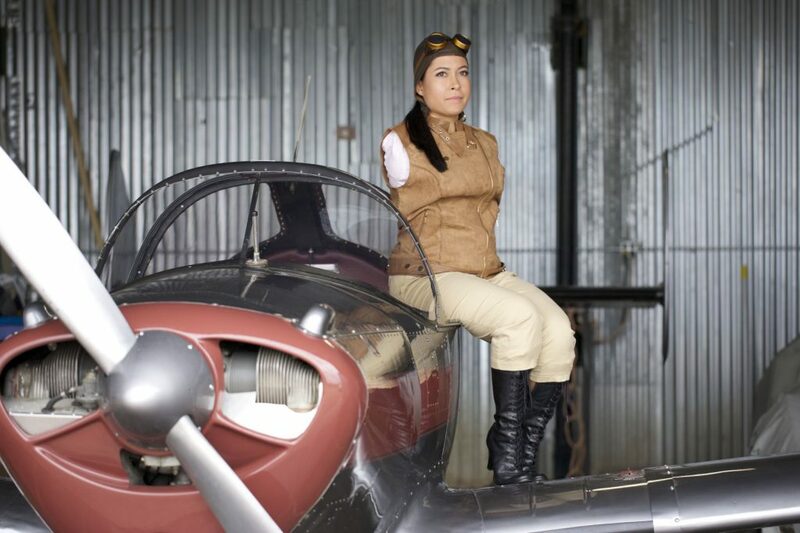 Cox, who is the first armless person in aviation history to become a certified pilot, also spoke about overcoming anger, self-doubt and fear in order to achieve her goals. Although she wore prosthetic arms for 11 years, Cox gave them up at age 14 because she felt like they held her back. Brandon Ellis, a USU student from Colorado who is studying business, took Cox’s message to heart. Ella Parish, a Cache Valley 10-year-old who shares Cox’s childhood dream of flying, agrees. Waiting in line for Cox’s autograph, the fourth grader’s spirits were soaring. Cox provided down-to-earth answers, acknowledging times of heartache, frustration and fear. She also spoke of her faith. Cox’s plan, along with learning to slackline, is to continue sharing her story as a motivational speaker. Accompanied by her husband, Patrick Chamberlain, she is helping people around the world recognize how to be “pilot in command” of their own lives. 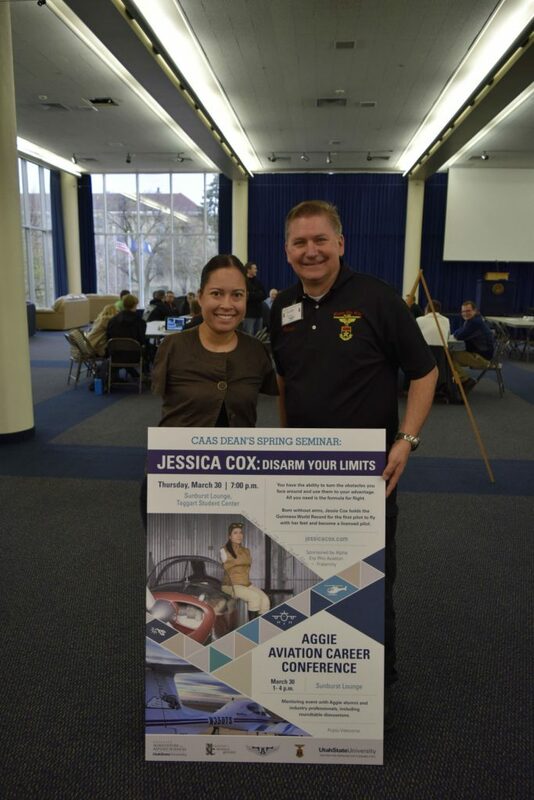 Jessica Cox’s visit to USU was hosted by the Alpha Eta Rho college aviation fraternity. On Friday, she will join the Center for Women and Gender during its lunchtime “Common Hour,” from noon to 1:00 p.m. in room 154 of the Merrill-Cazier Library (not room 208, as has been previously published). The public is welcome to attend. More information about Cox’s personal story is available at <a href=”http://www.jessicacox.com/”>www.JessicaCox.com</a>.